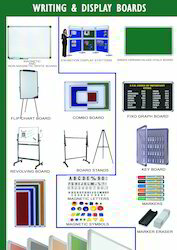 We put together a wide array of Display Board for our industrial and business clients. Adorned with a slim, wall-mountable design, we offer these screens in all screen sizes. Acquired from leading brands available in the market, these Display Boards provide a much wider viewing angle thannormal screens. Featuring an excellent color consistency throughout our range, our plasma screens offer a superb contrast ratios and a much faster. We welcome queries for Audio Visual Equipment from South India region including Andhra Pradesh, Karnataka, Kerala and Tamil Nadu. Looking for DISPLAY BOARDS ?